Hysitron nanoDMA III from Bruker is the latest powerful dynamic testing method to perform nanoscale mechanical property measurements. nanoDMA III is fitted with the recently developed CMX control algorithms, to offer an uninterrupted measurement of mechanical properties as a function of depth into the surface of a material. Control electronics and high bandwidth transducer are entirely optimized for nanoscale dynamic testing, and offer excellent sensitivity, performance, and a wide dynamic range. 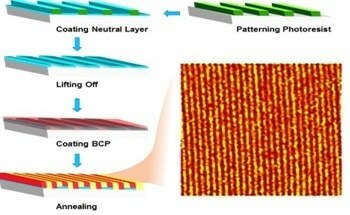 Bruker’s unique coupled AC/DC force modulation routine facilitates nanoscale mechanical characterization and does not have issues with slow feedback response times that are common with other nanoscale dynamic stiffness methods. TriboScan v.9 control software integrates a flexible and intuitive graphical user interface to quicken test installation and execution, in-situ drift correction capabilities for accurate results, and better data analysis and plotting capabilities during extended test durations. Hysitron nanoDMA III works on Bruker’s powerful CMX algorithms (Figure 1). CMX offers a quantitative and uninterrupted measurement of mechanical properties such as hardness, loss modulus, complex modulus, storage modulus, and tan delta - as a function of frequency, indentation depth, and time. Figure 1. A CMX depth profile on (100) Aluminum from 2nm-110nm. Discontinuities in the data are due to dislocation bursts occurring during the nano-mechanical test. During a nanoDMA III experiment, a quasi-static force is applied to the indenter probe, while superimposing a small oscillatory force at the same time. A dedicated lock-in amplifier measures alterations in amplitude and phase of the ensuing force-displacement signal. The transducer’s dynamic mechanical response, in contact with the sample, is modeled using two Kelvin-Voigt mechanical equivalents, from which the material’s damping and contact stiffness properties can be precisely established (Figure 2). The nanoDMA III force modulation method, with CMX, allows several mechanical property measurements to be endlessly performed during a single test, increases sensitivity to nanoscale elasto-plastic deformation and creep, and facilitates the material’s viscoelastic properties to be measured (Figure 3). Figure 2. Modulus and hardness as a function of contact depth from multiple tests on A) fused quartz, B) low-ê film. Each curve is comprised of 3000 individual data points taken in 30 seconds. Figure 3. Schematic of the dynamic system and associated equations to measure viscoelastic properties. High bandwidth electronics for improved signal to noise ratio and quicker testing cycles. Latest CMX algorithms provide a superior continuous measurement of X (X = hardness, storage modulus, loss modulus, complex modulus, and tan-delta) as a function of frequency, contact depth and time. Improved dynamic characteristics and dynamic testing range from 0.1 Hz to 300 Hz, facilitating enhanced precision and applicability on the widest range of materials. Coupled AC and DC force modulation for quantitative and dependable nanoscale dynamic characterization from the first surface contact. 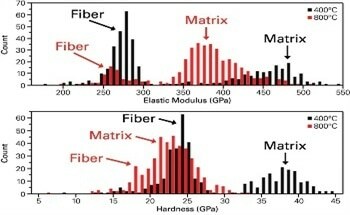 Universally applicable method for the complete nanoscale characterization materials, ranging from hard coatings to ultra-soft hydrogels (Figure 4). Versatile graphical user interface for fast test installation, implementation, and enhanced data analysis and reporting capabilities. In-situ drift correction capabilities for the highest precision during long test cycles. Automated testing routines for enhanced sample throughput. Figure 4. A 0.2 Hz - 300 Hz frequency sweep measurement on asphalt. The viscoelastic behavior changes from a dominant viscous, liquid-like (E">E') to a dominant elastic, solid-like behavior (E'>E") at approximately 100 Hz. Compared to other nanoscale dynamic stiffness measurement techniques, the nanoDMA III functions by directly controlling the load amplitude instead of depending upon a displacement amplitude feedback loop. nanoDMA III integrates true force modulation by automatically scaling up the dynamic force amplitude with the quasi-static force applied, in order to control the probe’s displacement amplitude during the entire experiment. Other commercially available nanoscale techniques function under closed-loop displacement amplitude feedback, which lacks the needed speed to correctly adjust and control the constantly changing contact conditions. These instruments depend on a single set of feedback tuning parameters that are incapable of precisely controlling the displacement oscillation in air, during primary contact, and at high contact stiffness. This feedback control limitation induces considerable inaccuracies in the mechanical properties at displacements 100X greater than the displacement oscillation, because of the loss of contact between the tip and the sample. Bruker's user-definable data acquisition rate up to 38 kHz is quick enough to capture this effect (Figure 5). nanoDMA III's AC/ DC force coupling removes the need for feedback, which greatly lacks the speed needed for precise nanoscale characterization from initial probe contact. Figure 5. Force and displacement data of a 100 Hz oscillation recorded at a 6 kHz data acquisition rate. Bruker's combined AC/DC force modulation coupling prevents 'tapping' during initial contact for reliable and accurate data over the entire displacement range. Bruker's TriboScan v.9 control software offers an intuitive user interface for the setup and execution of nanoDMA III experiments. A recently designed graphical load function editor offers the highest flexibility when installing the dynamic and quasi-static parts of the dynamic mechanical test. Basic and custom user levels enable routine to state-of-the-art tests to be easily conducted. TriboScan v.9 offers the ability to perform multiple combinations of constant strain rate, constant frequency, or variable frequency/frequency sweep nanomechanical tests. TriboScan v.9 has enhanced data analysis and plotting capabilities for total testing of nanoscale viscoelastic and elastic-plastic properties. Any combination of the input control variables can be plotted as a function of the measured resultant on a dual-ordinate graph. Numerous data sets can be plotted at the same time to rapidly recognize measurement results as a function of contact depth, frequency, or time. Raw data can be exported without any difficulty for personalized data analysis and modeling. nanoDMA III has an innovative reference frequency method for thermal drift correction during the course of an experiment. Reference testing is mainly beneficial in two areas - creep testing and frequency sweeps (Figure 6). Figure 6. 1 hour creep test on Sapphire. The reference frequency technique fundamentally reduces significant errors caused by thermal drift. The reference frequency method allows the measurement of the contact area without depending on the raw displacement data. The measured stiffness is proportional to the contact area, and can be used to precisely establish contact depth and contact area in-situ. This enables creep tests and long duration frequency sweeps to be performed reliably (Figure 7). Figure 7. 0.1 Hz - 200 Hz frequency sweeps on various polymers utilizing the reference frequency technique. Note the beta transition seen on PMMA as indicated by the small tan-delta peak near 10 Hz. In a standard indentation test, the contact area is calculated according to the measured indenter displacement, making long tests susceptible to error in property measurement due to thermal drift. 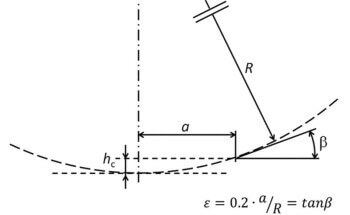 In a reference creep test, the quasistatic force is kept constant while a minimal oscillation is superimposed for uninterrupted measurement of contact stiffness (Figure 8). Figure 8. One hour creep test on copper and cement using the reference frequency creep testing technique. The modulus of the material is measured at the start of the hold segment when thermal drift error is insignificant. The measured modulus is used to compute the contact area constantly for what is left of the test, facilitating nonstop and precise measurement of mean contact pressure and penetration depth over extended periods of time. This technique is insensitive to alterations in drift rates and allows tests that last one hour or more to be regularly and consistently conducted. During a frequency sweep, the modulus of the material is measured at a user specified reference frequency closer to the start of a test. As the test is carried on from one frequency to the next, the system switches between the reference frequency and testing. By measuring the contact stiffness at the reference frequency, the contact area can be immediately established without relying on the raw displacement signal of the nanomechanical testing system. This allows comparatively longer tests to be conducted, which are not sensitive to alterations in drift rate. Consequently, large ranges of frequencies can be reliably covered in one test.